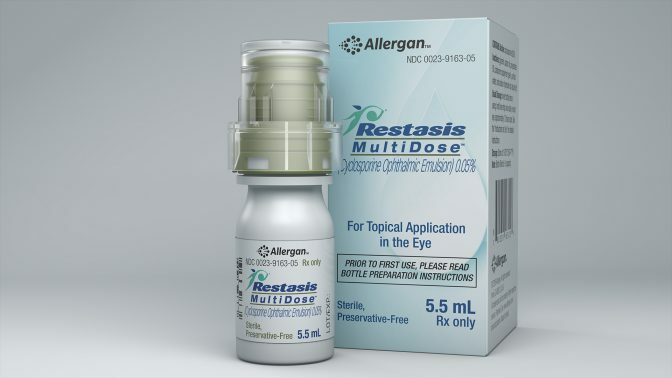 Eye care specialist Allergan has selected Aptar Pharma’s patient-friendly Ophthalmic Squeeze Dispenser for its new dry eye product, Restasis Multidose. Designed to handle prescription eye treatment formulations without preservatives, the Aptar Pharma’s preservative-free patented dispenser is approved by the US Food and Drug Administration (FDA) and is currently available across the US. The system is designed to dispense accurate amount of prescribed eye treatment formulations and can maintain product integrity. Aptar Pharma president Salim Haffar said: “Our Ophthalmic Squeeze Dispenser technology has been a great success for our customers. “The proven and unrivalled microbiological safety, combined with a precise and reproducible drop ejection allows pharmaceutical customers worldwide to enter into discussions with regulatory agencies such as the FDA. Aptar Pharma’s new cost-effective and preservative-free multidose dispenser can also remove preservatives from eye care medications. Additionally, the dispenser can be used with many liquid ophthalmic medications and are compatible with existing filling technologies. Developed using pharma compliant materials, the dispenser had qualified challenging microbiological tests and is suitable for a wide range of viscosities. Aptar Pharma, a unit of AptarGroup, is engaged in supplying broad range of dispensing and sealing solutions for the beauty, personal care, home care, prescription drug, consumer health care, injectables, food and beverage markets. Image: Allergan’s new Restasis Multidose product in Aptar Pharma’s dispenser system. Photo: courtesy of Allergan Inc.